South Texas College and the Office of Student Veteran Affairs are dedicated to serving veterans, active military, reservists, spouses, and dependents in meeting their educational goals. We encourage you the use the services offered and we hope you understand both your opportunities and responsibilities as a student. If further information is needed, please contact one of our Veteran Affairs Certifying Officials and/or visit the GI Bill ® website . Veterans may be eligible for benefits under multiple programs to use towards advancing their education and skills. When deciding which benefit to use, veterans should consider their educational goals and which benefit is best suited for their needs. Individuals currently serving on active duty or with a reserve component may be eligible for federal and/or state benefits. Reserve and National Guard Servicemembers may choose to attend college full-time while serving. 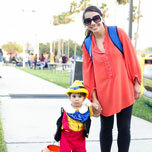 Spouses and dependents are an integral part of active duty Servicemembers’ and Veterans’ families. 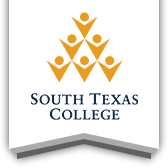 We encourage you to utilize the services available at South Texas College to achieve your educational goals. 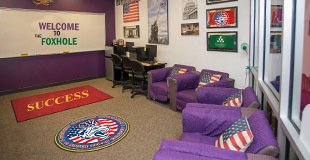 Our office at the Pecan Campus contains a lab and lounge area for veterans and their dependents. An additional study room, referred to as the Foxhole, is available at our Pecan, Mid-Valley, and Starr County campuses to provide a quiet study area and lab for veterans and dependents. The locations and hours of operation for each study room are listed below. 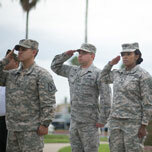 The Student Veterans of America Chapter at South Texas College’s sole mission is to provide returning and retired military veterans, dependents, and spouses of military veterans attending South Texas College (STC) with the resources, support, and advocacy needed to succeed in higher education and after graduation. STC/SVA Chapter also provides an added advantage and influence when advocating for veterans on campus or in the local community. 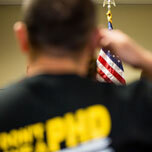 The Student Veterans Association also provides numerous programs and services to STC and the individual student veterans such as the Peer-to-Peer program and a Veteran Lending Library.